Turning off the TV would be a good start. Pick up a book, a newspaper, or a magazine that doesn’t have yet another celebrity’s drinking problem on the cover. Go to a museum, a gallery, an exhibit, a film festival, a theatrical production, a classical concert, or a jazz concert. 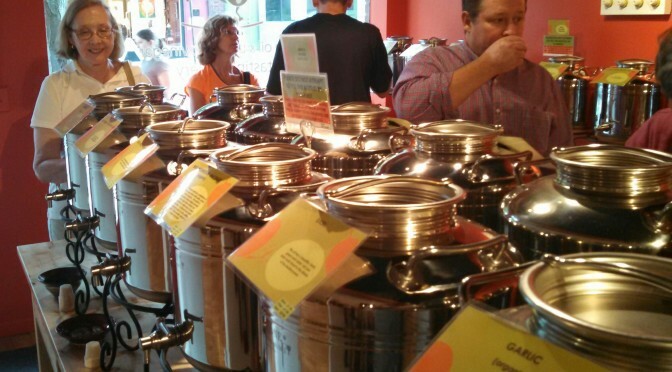 Take a dance class, a cooking class, or even an investment class. Do a crossword puzzle.Do a jigsaw puzzle. Learn a language, learn an instrument, or plan an exotic holiday just for fun. Phew! I’m sure you get the idea. So below we have listed some ideas for baby boomers to just have some fun! There is a great variety of things to do to have fun. Free on line games for boomers with classic arcade games. Of course every computer has games with the system. Board games, Sudoku, crossword puzzles, and chess. Meetup.com may have a group for games in your area. ItsYourTurn.com – Play online chess, backgammon, checkers, Jamble (word game), Battleship, Othello, Connect. Meet with local Baby Boomers. Discuss issues facing today’s BabyBoomer, i.e. 83 Million plus retirement age in 2010. These groups can meet to help make a difference in communities worldwide. Meetup.com has lots more interesting groups than just the Baby Boomer groups. It’s kind of like signing up for activities in an active adult retirement community, but right in your own area. Geocaching – you were looking for something different, right? Try this. Exposition Medals – collection medals from America’s great expositions. Bocce Ball is a great game for boomers. 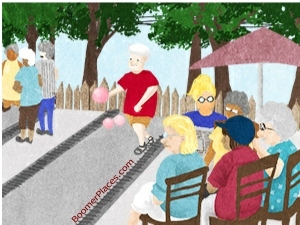 Play at your senior center, park, even some restaruants have Bocce Ball courts these days. Senior Games – compete with other seniors age 50 plus and have a great time while getting some exercise and meeting new friends. Movies for Baby Boomers – current best movies. New movies added. – Prefer your movies at home. Netflix is a great way to get your DVDs. Much info about movies. Now you can stream moves via wireless Internet. Listen to music over the Internet. Download to your IPOD or Sansa. This is a great site. Listen to the music you grew up with. VH1 Classic – This is music of our generation. Audio and video of some great performances. Check out Stones, ZZ Top, more. Free! Attend some of the great oldies concerts. Recently we saw Paul McCartney, Bob Dylan, Chicago, The Eagles to name a few. Boomer Music – Where to get latest baby boomer music. FoodTV – great site, watch it on TV then go to this site. Cooks Magazine is good. Take cooking classes. Want to really relax and do something productive, inspiring and enjoyable all at the same time. Try Square Foot Gardening. This will get you outside and feeling good. Join the Home Depot Gardening Club. We all know about Barnes and Nobles, Borders and Amazon, but you have got to try out PaperBackSwap.com, an online book club to swap books. It works great and you will save money and clear up some space on your book shelves. Take your time and stop and smell the roses, as they say. Go to matinee movie or play. Learn to meditate. Visit local or national parks. Therapeutic massage. Try a massage to get relaxed. Swedish massage – Light pressure and relaxing; this soothing massage and gentle touch takes you to a new level of stress reduction. and reduces inflammation–related pain caused by arthritis and tendonitis. It is generally integrated with other massage techniques. Rhonda Byrne to show you the way to an amazing positive life! Many of the large 55+ communities offer reasonably priced vacation Getaways to visit their communities for 2 or 3 days. Del Webb, Robson to name two that offer them. Thanks for the great ideas. There are definitely a lot of things for us to do, the real problem is getting up from the comfortable couch. I think I will follow your advice and schedule a massage. Thanks for the read. I am a Baby Boomer Generation author that writes romantic comedies for The Wild Rose Press. My books focus on the transitional time for people in our age category, some a bit younger but certainly not the typical ingénue-type heroines of other romances. I would love to get word out via your website about my books. I do book group visits and talks about writing as well as workshops. Just wanted to say “Thank you” for providing this list of baby boomer blogs. I’ve added all these to my RSS feed-reader and am looking forward to following them. I believe that those of us who are 50+ can enjoy the most fulfilling, productive, and enjoyable time of our lives. I look forward to learning from this site and the ones listed. Thanks again! I love the presentation of your baby boomer blog. Thanks for article. YOu had a great list of movies. Most of them I had watched. But interesting point is that many of my favorites movies you had listed. But then also from this list my favorite movies title goes to “Ides of March”. It’s a nice movie and nice actions done by surprise. I also love this because I had read Julius Caesar by shakespeare . so i had complete idea of it. But in the next list i think “Shutter island” movie goes to category of mystery movies. When it come to entertainment I go with ‘Boomer Games’ list and the sites you have suggested! I have played some of them! Thats really very cool entertainment ideas.I liked them all.Thanks for share. Thanks for sharing all these stuffs..its really great to see all of these at one place. It’s great to see everybody outdoor’s it;s a great feeling for them, great job on this post. Thank you for the great ideas and providing the list of baby boomer blogs. its really very helpful as all blogs are at one place. I’ve done some serious 50th birthday parties and must say that Boomers know how to party. Rocked some Classic Rock and Disco Dance hits. Boomers are kind hearted and fun people that really know how to party! Awesome article! Baby Boomer information like massage therapy caught my attention for relaxation. Happy New Year! Wanted to share that my book, The Grandma Boom Chronicles…More Alive at 65! is being offered at Amazon.com with a special discount for a week with the KINDLE version. Enjoy! It is endorsed by Doris Day and Danny Lockwood, music video producer for Jennifer Lopez, Katy Perry, Bruce Springsteen. Reviews on Amazon are coming in and fantastic. I was not sure what a baby boomer was..believe it or not.. so here is what I found: a person born in the years following the Second World War, when there was a temporary marked increase in the birth rate from wikipedia. I often listen to radio 4 (I am in the UK) That radio station is aimed at the 55+ community which your blog related to. Even thought I am in my 30’s I like the station and I like the things they talk about. They were running an audio series (Yup I listen to them too!) which was a play on words I guess and It had my thinking all kinds of things..
What was it like to have a baby during the second world war? The men being sent to the front line.. Women left holding the babies..It must have been really hard. I know women would have had to cope with the issues of growing children hoping their husband/partner came back safe. I often wonder what it would have been like living in that era, Very different to now I know, I find my mind wanders when I tune into the radio.. Am I getting old before my time? Just wanted to say “Thank you” for providing this list of baby boomer blogs. It is a great valuable information . William the “baby boomers” were not around during the war. The baby boom started in 1946 after the war was over. I am sure some women were left with babies to care for as you pointed, but they were in the generation before the “baby boomers”. Thanks for commenting. Very interesting take on things, I really like your articles about entertainment ideas for baby boomers. Thanks! I love to take grandchildren on international trips. They learn so much and gain a larger perspective on life and the world. Thanks for providing so many ideas to consider. I got a jolt when you wrote about retirement activities! At 55 I don’t consider myself anywhere near retirement! Remember, we’re supposedly going to live until we’re 110. That’s a lot of retirement. I really enjoyed the articles, thanks for sharing. I’m a boomer who is self employed. Your blog provides in-depth information I always seek, and learned something new about Bill Clinton being the signor of the Silver Sneakers bill….great! My dad is turning 70 this year and we he moved in with my husband and I. We are trying to keep him busy with new stuff. He does help out in our little embroidery store and he’s great to have around. Some good ideas here for sure. He does like online games. Turning off the TV would be a good start. Pick up a book, a newspaper. Hi! Thank you so much for sharing all these useful information. I have certainly benefited from it! Being a boomer I really enjoyed the articles on the site. I loved the gray and groovy article! It just goes to show you we can still do it , and do it well. Thanks! These are great ways to lift your life. Even if you are surrounded by medical conditions then there is still much that you can do to lead a fulfilling life. Lots of creative ideas for baby boomers. But I like the first one personally because of ease to play free online games and to be honest it mind challenging for them. Board games, Sudoku, crossword puzzles, and chess. Baby Boomer blog is really cool. Besides Rhapsody and VH1 music, I’m into vinyl now. And of course, I love film photography and my six year boy is trying some half frame camera with Tri-X 400! Hi boomers, I’m Ina Britton. I’m really proud to be a baby boomer and happy for getting such a great platform for us. Always I love to read on baby boomers so that I took 2 love stories to here for our boomers community. Hope you will enjoy my books if you believe that love is possible at any age. Thanks for your post. Your suggestions are really useful. I think I will follow your advice. Turn off the TV then register a cooking class or a club and join the Home Depot Gardening Club to relax and do something productive. I will do it! Boomers are unique in that they still remember Ronald Reagan. Each time a boomer speaks you can sense a joy of what it was like during that time of prosperity. They are very proud of there heritage, many coming from European descendants who truly loved the US and fought in the war because of love for country. Parents of boomers truly wanted a better life for there children. Many of the boomer’s children are turning 16. We can turn up an awesome Sweet 16 if you are in NJ. Special rates for children of WWII Vets. Great ideas, but watching tv is always fun, especially watching them online. My suggestion is “Moviestica”. Great and fun for all ages. Thanks for this very useful article.